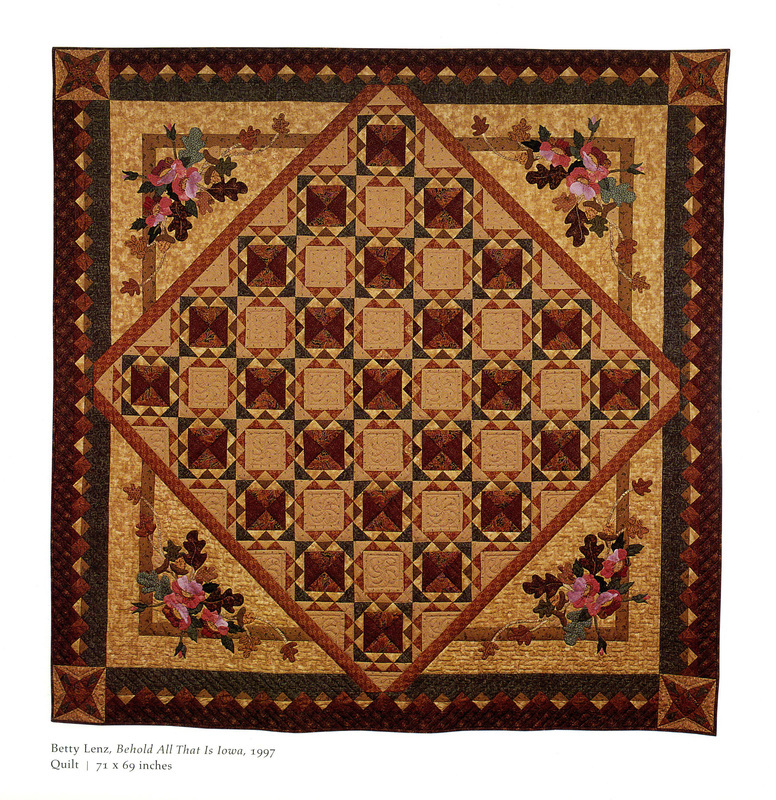 Displayed on the opposite wall, Behold All that is Iowa, created by award winning quilter Betty Lenz, is more reflective of traditional quilting. Lenz chose the traditional pattern “Corn and Beans” because corn and beans are reflective of a large part of Iowa’s economy. Lenz also incorporated oak leaves, the state tree, and the wild rose, the state flower. 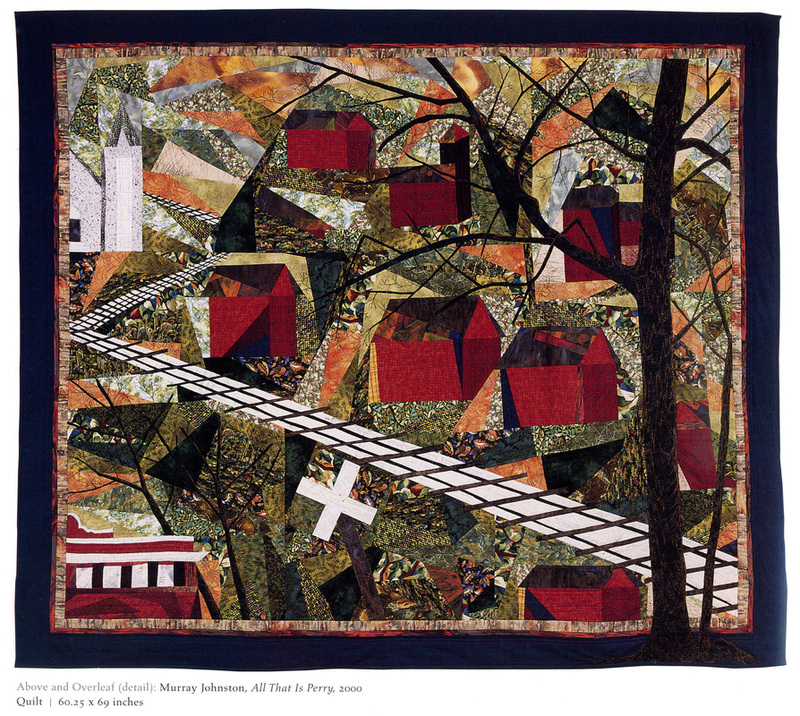 Lenz said her quilts “happen as they go along”, rather than follow a rigid pattern. She said she designs as she goes along, beginning with the center of the quilt, then decides what she will do for the borders and appliqué.